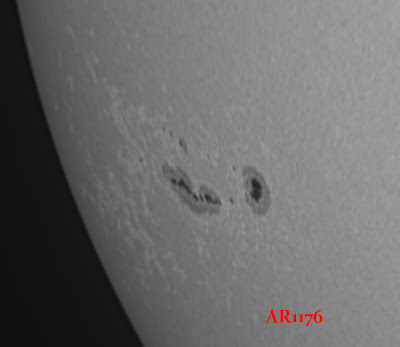 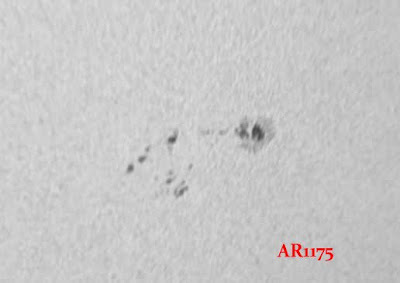 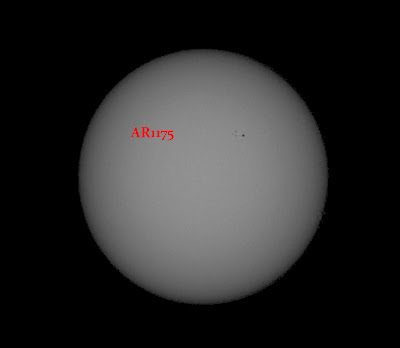 I used the 10" f/4.8 Newtonian fitted with a full aperture Baader solar filter to image the active region sunspot group AR1176 in Green continuum light and in Ca K-line light using Baader filters for those spectral regions. 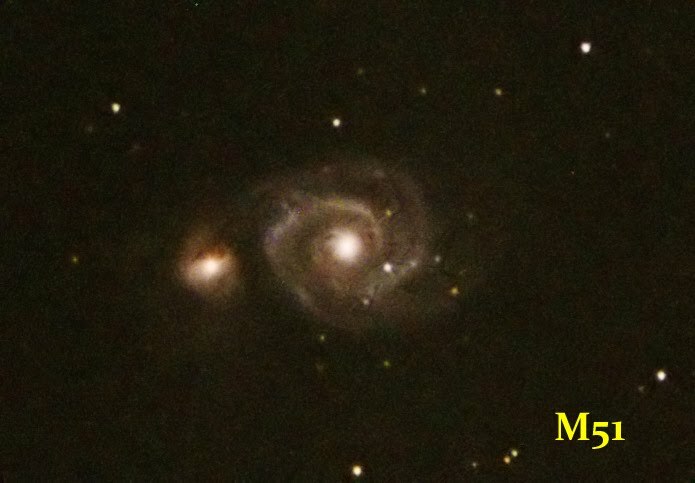 In Green continuum light the lens assembly from a x2 Barlow was fitted to the DMK21 camera. A Pentax K-x DSLR was fitted with a light pollution filter and the lens assembly from a x2 Barlow. 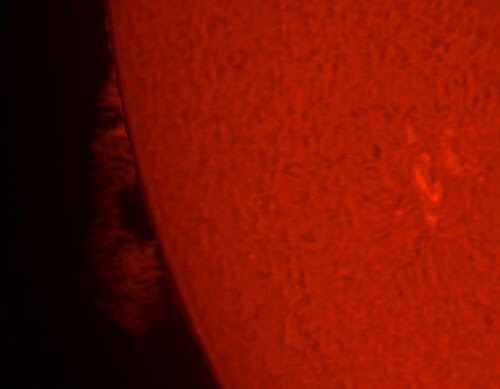 It was attached to a 130mm f/5 Newtonian on a GOTO AZ mount. 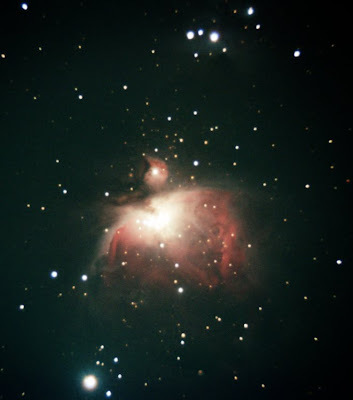 The different star colours can be seen in this open cluster in Auriga. 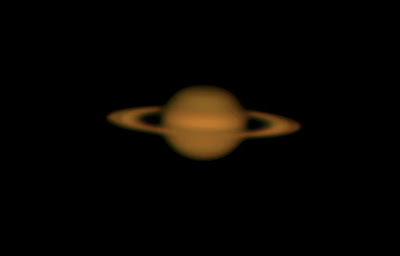 When Saturn was high enough in the sky we placed a Phillips SCP900NC webcam, fitted with the lens assembly of a x2 Barlow in the 1.25" adapter of the SCT. 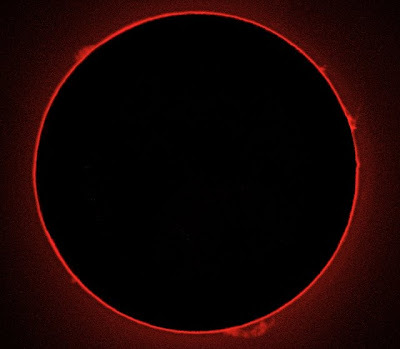 We captured 6, 1200-frame AVIs and stacked the best 500 frames in Registax. The sky cleared late last night and I was able to capture some images of Saturn and the Moon. 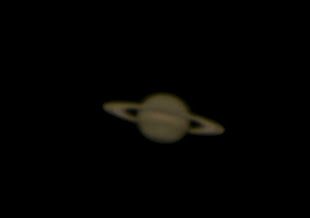 I used a 5", F/10 Maksutov with a 2.5 x Barlow to image Saturn and an 80mm, f/5.5 refractor at Prime focus to image the Moon. 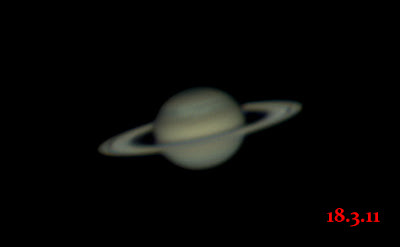 I used two webcams working with wxAstrocapture under Kubuntu Linux to image Saturn. Eyepiece projection through a 20mm plossl was used with the DSLR and H-alpha PST. 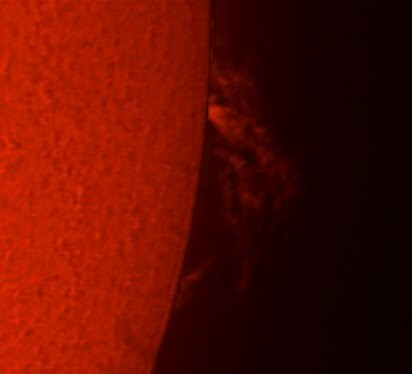 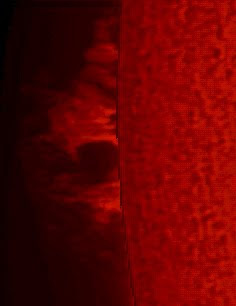 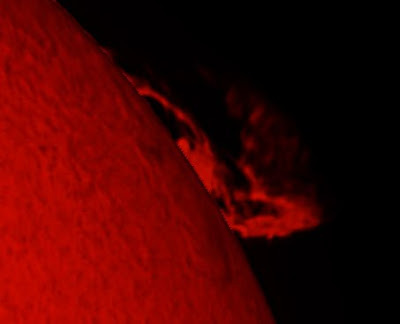 This image was captured just before this prominence erupted.